Today the Florida Department of Education released their School Grades for 2012. You can follow the link below to view all of their listings and historical information for all Florida schools. Categories: "Stuff", City Search, Florida, Getting To Know, Home Search, Schools | Tags: FL schools, Florida schools, move to florida, moving to florida, Relocation Blog | Permalink. A few days ago a FB Disney friend let me know that they had seen a comment on FB about Jen and I being ‘stand offish’ about meeting people when they visit Disney. I wanted to clear things up a bit. For those who don’t know, our youngest son Ben is autistic. For us this makes meeting people a little more difficult as part of Ben’s autism is that he struggles when he needs to ‘wait’. This is especially hard for him at his favourite place…Disney. So, we do often have to keep our meets shorter than we’d like and sometimes have to miss meets, like Lou Mongello‘s Meets of the Month, on short notice; or leave them very quickly. It also makes it harder to plan meets on a short notice as we can never tell what level Ben’s autism will be at on any given day. And we always do our best to explain why. We do love meeting our new friends and the time we do get to spend with you all, no matter how short it may be. So, we hope you’ll understand and keep our full situation in mind if we do have to cut a meet short or cancel one; if we do it’s only for Ben’s sake. Categories: "Stuff", Blogs, Disney, Florida, Friends, Meets, Questions, Uncategorized | Permalink. We have found the furniture stores to be very reasonable. Two furniture stores in Clermont that we were pleasantly surprised with were Clermont Furniture and Badcock Furniture. The offerings resemble what we would find back in Wisconsin, but without the huge mark-up in prices. If you looking to relocate to the Florida area and need an estimation of furniture prices for your budget, we would be more than happy to help you out: just ask. We have blogs in the work regarding our experiences with getting our driver’s license and car plates, enrolling our children in school, Disney, and a lengthy post about Clermont: what we like, how it’s different, and what’s available in the area. Be sure to check for those in the coming week. We’ll also write about our experience with Disney Quest and what we thought of it. 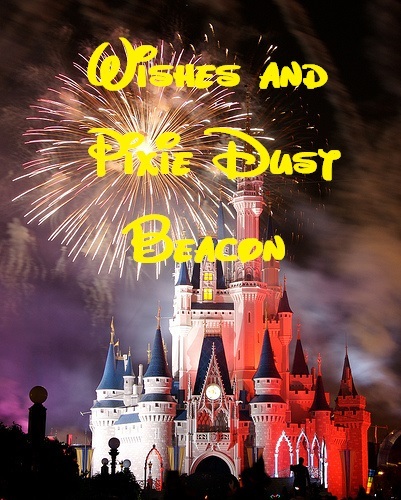 Sending pixie dust to all our readers! Categories: "Stuff", Clermont, Disney Quest, Entertainment, Florida, Furniture | Permalink. Early on we made the decision to not bring most of our furniture. We wanted to blog about the reality of that decision, and what we would do differently if we had to do it all over again. You may be wondering, so what did we bring? Here is a short list: 3 end tables, jewelry armoire, 2 corner tables, decorated stool, laptop table, couch table, kitchen table, baker’s rack, 2 scrapbook carts, 3 headboards, 2 bed frames, 2 small chests and 2 small bookcases. The concept is nice: discard all of the old furniture and purchase new. We had a lot of pieces we acquired from relatives; functional but not in the best of condition, and we decided that it would not be worth moving the pieces to Florida. This meant, however, that we arrived at our apartment with no place to sit down. We purchased a nice padded counter stool from TJ Maxx, so the first night we at least had one chair. When our furniture arrived five days later, we also had the decorated stool: two chairs. We are ambivalent right now as what to do with dining room chairs. The ones we are considering are a little out of our budget right now, but we don’t wish to purchase cheap ones just to get through, either. It’s not that we want to purchase highly expensive ones, but we do need to purchase all four at one time to ensure they match. At this point in time the dining room table is covered in items, so it’s a non-issue right now, but we hopefully will restore some order this week. We still feel it was the right decision not to move our dining room chairs, as they were in need of replacement. 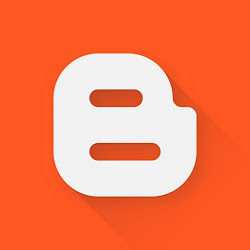 If you follow our blog regularly, you know that we decided to sleep on airbeds until we were able to purchase mattresses. Nice in theory, but our Coleman airbed decided to blow out on our third night sleeping on it, and we had to sleep on the floor for the following nine nights. It was not returnable, as we purchased it at a local store in Wisconsin, and we are extremely dissatisfied with the lack of customer service Coleman has since provided to us. Blessfully our mattresses were delivered this morning; our bodies will definitely thank us for that. In hindsight, we would have chosen to move our beds. Did the mattresses need replacing? Yes, but an uncomfortable mattress is still better than the floor. One of the misconceptions we had is that we would be able to purchase mattresses inexpensively once in Florida. A Google search reveals several mattress companies offering sets starting at $299. However, after visiting several mattress stores in Clermont we are here to say that the cheap mattresses are just that: cheap. You get what you pay for, and in our opinion, these mattresses are flimsy, cheaply made, and not worth purchasing. A nice queen set will run you at minimum one thousand dollars. Several stores do offer financing if you cannot afford to purchase your mattress set outright. We do recommend bringing your bed frames with you if they are in good condition; bed frames start at 69.99. We found a desk we love at Ikea; but as we only have a car, we are having transportation issues in bringing it home. Tonight we decided to purchase it, with the trunk hood partially open and tied down, but then while at Ikea it decided to storm, and we had leave it behind. We need to purchase a desk soon as Mark goes back to work in a week and we need to have the workstation established and ready to go. We don’t regret leaving our desk behind, as it was extremely heavy and too large for the apartment. Another consideration is the placement of the kids’ computer: we may utilize the baker’s rack as a temporary “desk” but it would also mean it would be without internet capability until we purchase a wireless card. We’re finding that dressers aren’t an absolute necessity right now, as clothes can be placed in bins for the time being. Our dressers were in pretty rough shape, so it was an easy choice to leave them behind. We will make getting Catie’s dresser a priority, as her bedroom is the smallest, and she needs the room the most. Last week we focused on emptying the boxes, as we’ve been living with boxes since January and really tired of seeing boxes. 🙂 However, we discovered that without furniture, it is really hard to put things away, and things are now piled up on the floor. Our storage closet is almost to capacity, but truth be told the Christmas boxes were not unpacked, just placed in there, so once those items can be placed in totes, it will free up a lot of room in there. It’s not a priority right now, and we’re thankful and amazed that it all fits with a little room to spare. The big question out there for us was regarding whether we decluttered enough stuff so that it all fits, and we’re glad that we did and it does. Our advice is that you cannot declutter too much: sell or donate as much as you can. You will not miss it, we promise. Categories: "Stuff", Clermont, Donations, Expenses, Moving, Packing, Work At Home | Permalink.